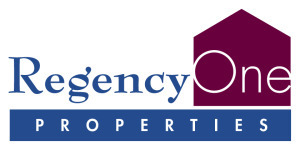 Hands down the best of the best property managers and realtor I know. Thank you Michael for the amazing job managing my property in Rancho Bernardo. Your professionalism and your positive attitude truly made the difference not only to me, but to my tenants. Thanks again. I’m looking forward to working with you again in the future. Go with Goh!!! Micheal Goh is as good as it gets! He was our property manager on our first condo after getting married, he helped us purchase our first home, and now two years later we are relocating out of state and he helped us sell our home! He coordinated a multiple offer situation and enabled us to get full asking price on the sale of our home. He works extremely well when time is of the essence. He often returns phone calls and texts within 5-15min! The photographer that he works with does an incredible job. We signed our contract with him and within less than two weeks the home was listed on mls, professional photos were taken and uploaded, he posted a sign outside our residence, held an open house, coordinated multiple offers and we accepted a third counter offer at full asking price! How can you compete with that! 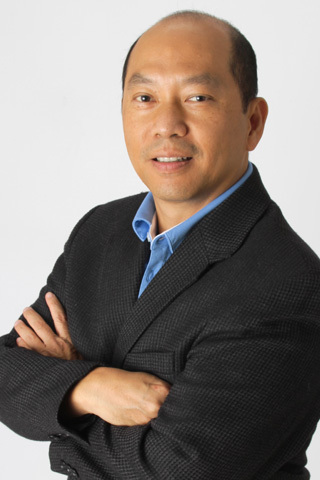 If you want to talk about amazing service for a mortgage loan or a real estate transaction, then you have to talk about Michael Goh at RegencyOne. Michael has now done three real estate transactions and three or four home loans for me now, and each time it has been painless. He’s great with setting expectations and communicating with you about the next steps, and he will always cater to your needs and what’s best for you. I truly couldn’t speak highly enough about my experiences with him, and I do refer my friends to him because I know he’ll take good care of them. The Best Real Estate Agent! What an honor for us to help you out in this way! You are probably the best real estate agent that we know of. You went beyond the call of duty to serve us during our house search. You are hard-working, responsive, and informative. You educate your clients and always put their interest first. We can’t thank you enough for all your help with our home purchase. Our Realtor and Loan Consultant for Life. When my job moved us from San Diego to Northern California, it was one of the most stressful events of our lives. My wife & I had to leave behind our families, friends, & a city that we love so dearly. Dealing with the selling of our first home added significantly more emotional drain. We wanted someone that we trust personally, professionally, & ethically… we chose Michael to be our Realtor as he had always demonstrated to be organized, trustworthy and thorough… we trust him to cross all the T’s and dot all the I’s. Not only did we trust him with the sale of our house, we also came back to him (from Northern California) to refinance our properties several times over. Each time, he come through. Our immediate families now call upon Michael for all our real estate needs… Truly, he is our Realtor and Loan Consultant for Life. Service & Results Beyond our Wildest Expectation! Mr. Goh represented me in the sale of my house in Rancho Penasquitos and I would like to give him my highest recommendation for an outstanding service I received from him… From the beginning, I was impressed with Michael’s attitude and his desire to do the best he could to secure the right buyer and the best price for my house… He worked hard to give maximum exposure, present my house in the best possible way, and got the best sale price price while expediting the sale. As I reside in the East Coast, Michael went “the extra miles” by hiring people to maintain, repair, and improve the house appearances. He even arranged to remove the leftovers and trash. The service and results he had offered are truly beyond our wildest expectation! Michael is a tough negotiator… he had gotten us a much higher price and terms than what I had expected. His attention to detail, his knowledge of the process, and his responsiveness made the entire process very easy for us. At no time was I concerned. This is the most stress-free transactions I have ever been part of, I believe in large part to Michael’s efforts. As a person, Michael was pleasure to work with, and I always felt confidence of his abilities & decisions. I learned early on to trust Michael’s advice & knowledge. Again, I give him my highest recommendations. Go 4 Goh! Michael Goh is a caring and sensitive Realtor. His deep religious belief has allowed him to put the interest of his clients (and others) ahead of “the almighty dollars”. It is very refreshing to be served by someone like him and we offer our highest recommendation to him. If you need a trustworthy and honest Realtor or Loan Consultant, “Go 4 Goh”! Michael was extremely personable & helpful in our house hunting process… Not only was he very patient in helping us through the process, but at no time was there any pressure for us to find one. Since we are first time buyers, Michael took the time to explain every step of the process to us and made sure we were comfortable with it. I would highly recommend Michael to anyone considering buying a home. Michael helped us find our condo here in San Diego and also did our refinance. He was very attentive and responsive. Through out the whole process, he made sure we understood all the steps and he approached everything with integrity. We would definitely work with him again in the future. Michael has been our realtor and loan officer for 15 years. We have brought and sold 4 houses with him. We work with him because of his professionalism. He is very responsive, patient, detailed and knowledgeable. Knowing Michael’s integrity, we never have to second guess what is going on. For us, we need a realtor who is capable and trust worthy and we definately found that in Michael.